Red Tomato Pachadi is a wonderful combination with plain cooked rice and ghee, matches with curd rice and also with idli or dosa when you are hungry. 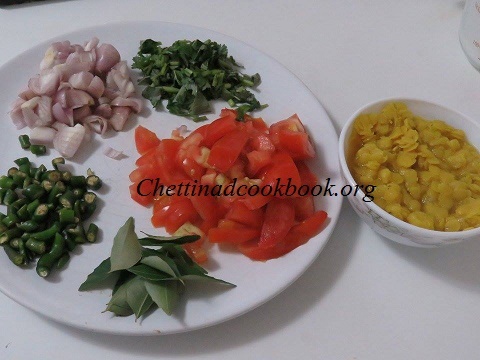 Main Ingredients cooked toor dal and Red ripe tomato. 1. 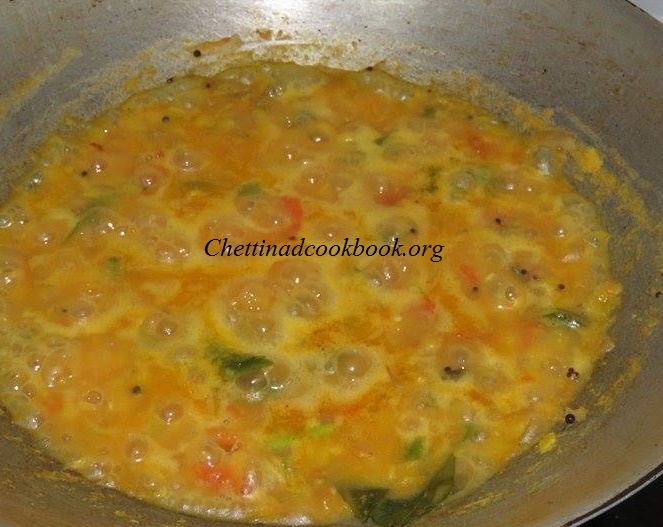 Add turmeric powder and boil toor dal soft not too much. 2. Heat pan with oil season it with the above “To temper” ingredients. 3. 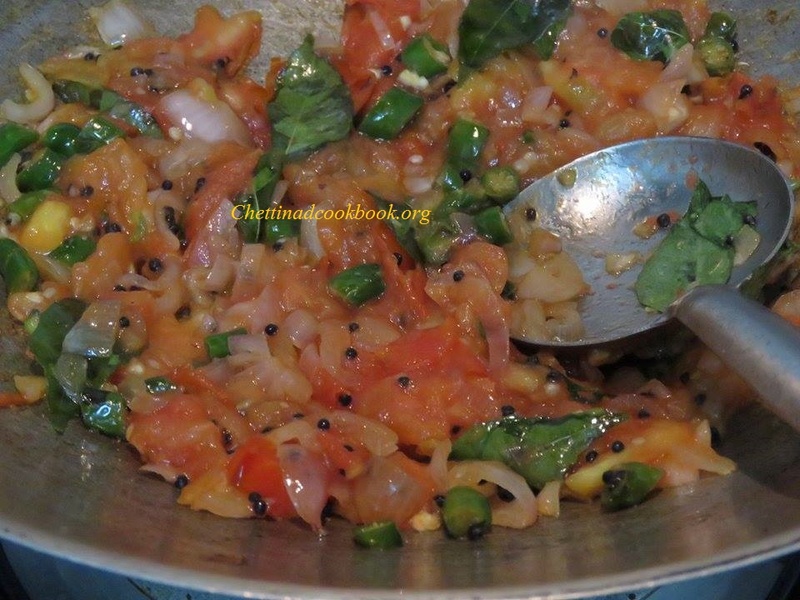 Add curry leaves, onion and green chillies saute for 2 minutes, now add chopped tomato and salt saute till it leaves its skin. 4. Add, dal, 1/2 cup of water and allow it to boil for 3 minutes in medium flame. 5. 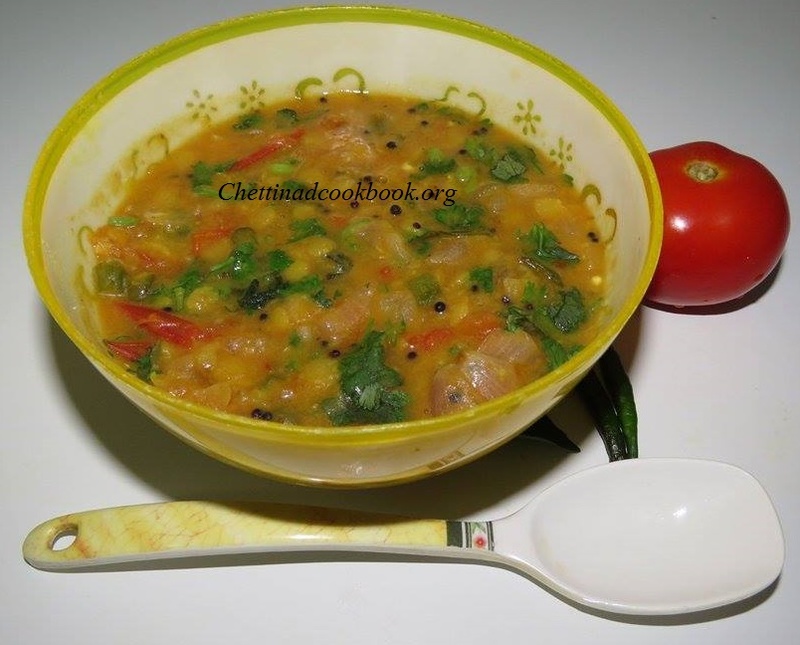 Add chopped coriander leaves and transfer to the serving dish, serve with cooked rice and ghee.